Asbestos can cause serious health problems, like mesothelioma. Asbestos is often present in old building materials, but is it harmful in all cases? Read over these common myths about asbestos and find out the truth. 1.You’ll feel the effects of asbestos exposure almost immediately. False: People exposed to asbestos fibers will often not notice any detrimental effects until between ten and forty years later. This also depends on the amount and duration of exposure. 2.All asbestos exposure is hazardous. False: Many people work or dwell within buildings containing low levels of asbestos. The amount of asbestos, the material in which it’s contained (insulation versus flooring or ceiling), and the length of time spent in the area all play key roles in whether a person will suffer ill effects from asbestos exposure. In general, the risks associated with asbestos exposure are fairly low, but this doesn’t mean that precautions shouldn’t be taken. 3. If you see asbestos or asbestos-containing materials in your home, you should remove it immediately yourself and clean your house thoroughly. False: Never handle materials thought to contain asbestos yourself. Always call in an asbestos abatement professional—they are trained in safe handling and removal of these materials. Asbestos is most dangerous when disturbed, such as during construction, remodeling, moving materials, etc. Since asbestos fibers become airborne if tampered with, the risk for increased exposure (and therefore possible damages to health) is elevated if self-removal is attempted. 4. Asbestosis, mesothelioma, and other asbestos-related diseases are contagious. False: While living, working and moving through an area contaminated with asbestos may cause dispersal via your clothes, the diseases themselves are not transmittable to others. They are not caused by viruses, but by the body’s reactions to the mineral fibers. In order to protect your family from exposure to asbestos from your workplace, do not wear tainted work clothes home, and don’t wash the clothes in your home laundry machines. 5. 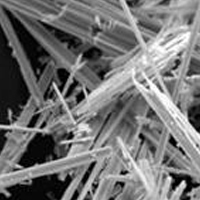 The EPA requires removal of all asbestos materials from contaminated buildings. False: Asbestos removal is only necessary in cases of potential public hazard, such as remodeling or deconstruction of buildings. Remember that undisturbed asbestos poses a relatively low health risk, and it’s only in cases of improper relocation and disposal (such as attempted do-it-yourself removal) that the airborne fibers put you in significant danger. 6. You can tell what building materials contain asbestos by sight. False: For over 50 years (between 1920 and 1978), asbestos was used in the construction of about 3,500 different building materials. There’s no way of knowing what materials may or may not contain asbestos merely by looking—the only sure indicator is to have the material tested in a lab. Again, never attempt to test or remove suspicious substances yourself. 7. Chrysotile asbestos is not harmful to your health like other types of asbestos are. False: Just because this type of asbestos is used in more materials than any other—95% of them, to be exact—does not mean it is safer. All forms of asbestos are potentially hazardous, so approach them with caution. 8. If you contract an asbestos-related disease, there is nothing you can do to alleviate symptoms or heal. False: While you cannot necessarily cure asbestos-related diseases, you can certainly treat the symptoms and prevent further exposure. Doctors can prescribe antibiotics to treat and reduce the risk of further infections, as well as reducing the harmful and uncomfortable effects of coughing. 9. Only people who smoke cigarettes are susceptible to asbestos-related diseases. False: Prolonged or excessive exposure to airborne asbestos fibers, in combination with regular tobacco use, increases your chances of contracting an asbestos-related disease 90 times. However, nonsmokers are certainly not a zero-risk population. 10. If you do not work or live in an asbestos-contaminated area, you will not suffer from the detrimental effects of asbestos exposure. False: As previously mentioned, families and housemates of people who work around asbestos can be exposed to the fibers. Asbestos fibers are often carried between locations via clothes, bags, etc., where they can become airborne again. Lawrence Reaves is a voracious reader and writes on various topics including health, medical, and disease. Recently he’s been writing for Asbestos News.com, a site which features a wealth of information on asbestos exposure and more.